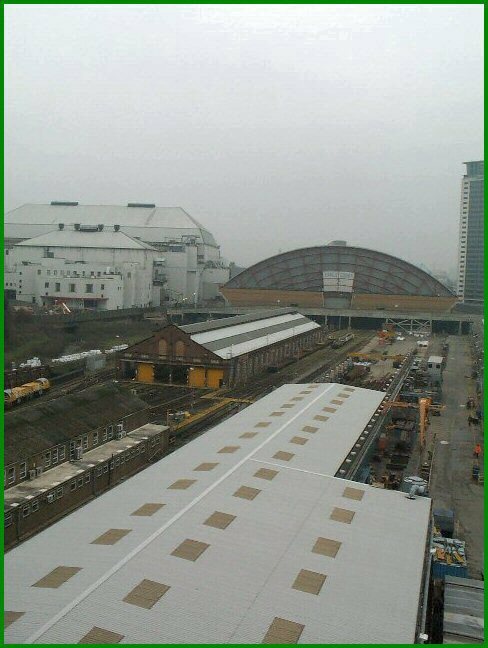 The following photos have been supplied by 'Tube Troll' and are quite different from anything else on this section of the site in that they're taken from our Training Centre at Ashfield House! Every time I've visited that centre of learning in recent months I've intended to take my camera with me but have forgotten to do so, so TT has beaten me to it! 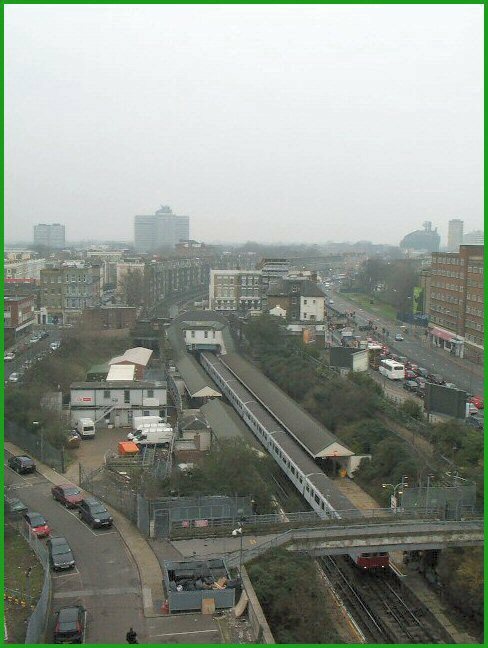 Ashfield House is located just east of West Kensington station next to the engineering depot at Lillie Bridge and is visible to the right of a train if travelling towards Earls Court; it's location gives some interesting views across London from the upper floors. From the signal diagram you will also notice the layout into Lillie Bridge depot and where the branch to and from Kensington Olympia leaves and joins the 'main'. Looking west across the station itself. 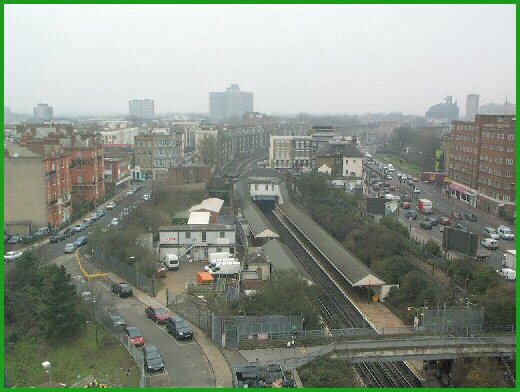 The main road to the west is the infamous A4 Great West Road as it descends from the Cromwell Road Flyover. Just in front of the train standing in the eastbound platform, but out of shot, are a set of points which allow trains to enter and depart Lillie Bridge depot. It is also possible to reverse trains from east to west at this location, though the move is a little different from the usual routine. The train would first move forward past the normal station starter (WB34 on the diagram) - this is so that the rear of the train is clear of the pointwork at the west end of the platform. The driver then changes ends and a wrong road station starter (WC9 on the diagram) then clears to allow the train to proceed west. A view of Lillie Bridge Depot. This was originally the home of the District Line's rolling stock and dates back to the 1860's and remained so until the opening of Ealing Common Depot in 1904. The shed to the left of the picture is, I believe, one of the original structures. As can be seen from the picture it is still very much a working site, albeit now in the hands of the engineering operation. Two engineering locomotives are just visible on the left of the picture. The large white edifice is the main Earls Court exhibition centre, with the domed roof of Earls Court 2 the right of the main building.